Disposable paper palette allowing you to have a clean surface each time you paint without all the messy clean-up. 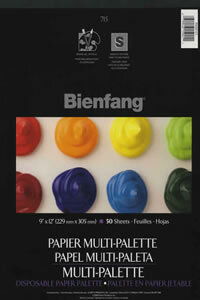 The palette paper has a specially coated smooth surface. Perfect for mixing oils and acrylics.